At Barcelona Cooking, we are passionate about offering a unique, enjoyable and creative experience to the friends who come to cook with us. We love the opportunity to get ‘hands on’ and interactive in the kitchen. Those friends who come to Barcelona Cooking generally have a number of things in common: they hail from all corners of the globe, and (whether they realise it or not) they are all interested in a creative experience that brings them closer to the culture and gastronomy of the city. This desire to learn whilst on vacation forms part of the so-called ‘creative tourism’ philosophy. A person who shares this passion is Elena Paschinger, the founder of CreativElena, a blog dedicated to highlighting these opportunities in cities and destinations around the world. We were very lucky to have Elena in our kitchens towards the end of last month where she formed part of a team cooking four dishes in the Spanish Cookery class. 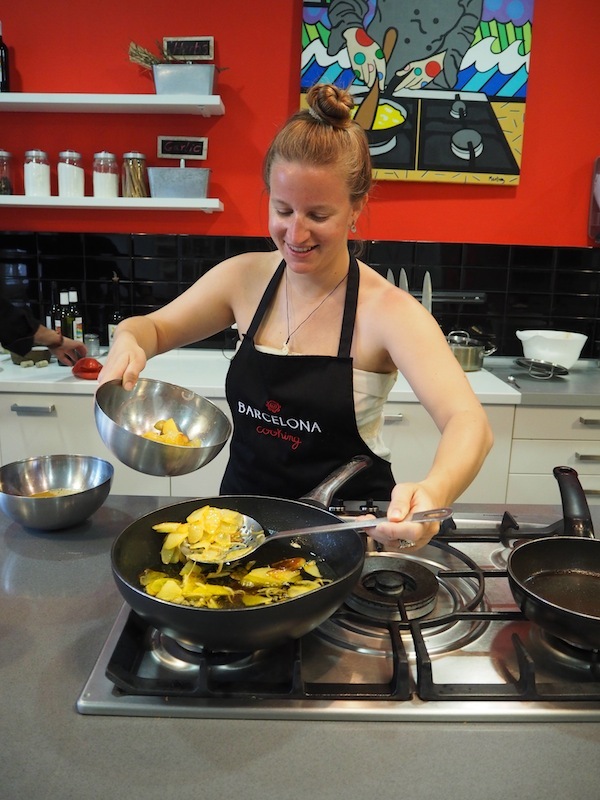 Elena, who travels frequently and to destinations around the world is always looking for that extra special experience in the activities that she does – and that’s why she chose Barcelona Cooking. Read more about her wonderful experience here.